Hollis Johnson/Business InsiderMcDonald’s is bringing ordering kiosks to more of its stores. Order automation is sweeping the quick-service industry, with digital kiosks and mobile-ordering apps being introduced at major chains like McDonald’s,Starbucks, and Panera. 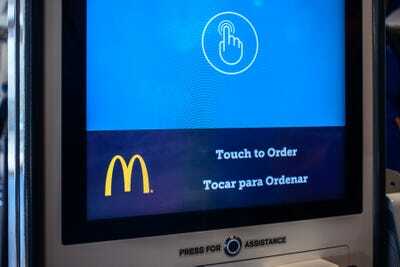 A recent MSN poll suggests that most Americans prefer cashiers over automated kiosks. But automated ordering can help wait times and improve order accuracy, and it doesn’t negatively affect labour as much as some think. Not only has the infamous upgrade gone by the wayside, but cashiers at fast-food restaurants are becoming increasingly uncommon. 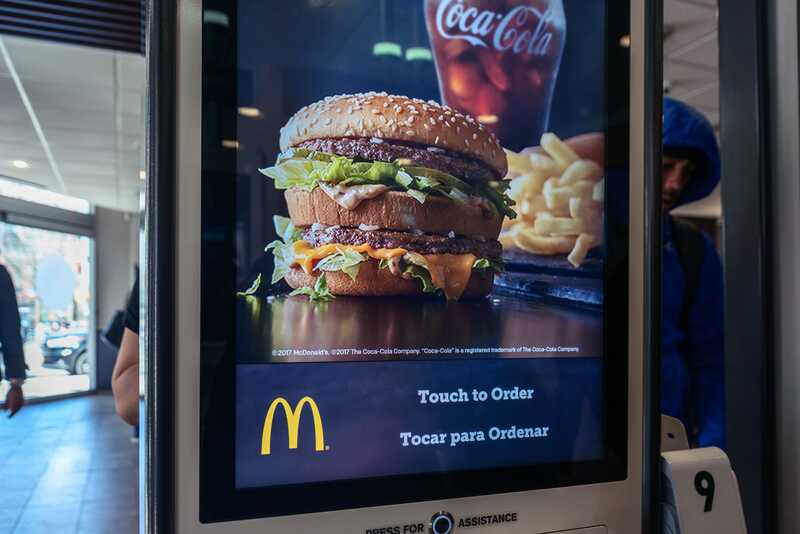 McDonald’s started rolling out ordering kiosks at its US locations in 2015, and the chain hasn’t looked back since: by 2020, most of its 14,000 locations will have kiosks installed. It plans to add the kiosks to 1,000 stores every quarter for the next two years, according to CNBC. BTIG analyst Peter Saleh wrote in a note to investors on Thursday that McDonald’s shift to kiosks and mobile ordering could help the chain win back nearly $US2.7 billion in lost sales. However, a recent poll conducted by Business Insider’s partner MSN suggests that diners aren’t big fans of automated kiosks: 78% of customers said they would be less inclined to go to a restaurant that has automated ordering kiosks. 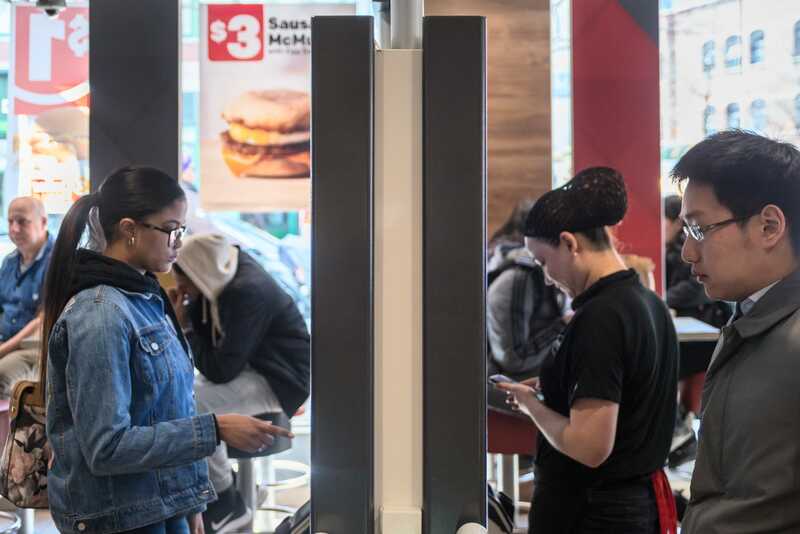 The popular narrative is that kiosks and mobile ordering are here to take jobs and hours away from underpaid cashiers, ultimately saving companies money in the face of rising labour costs – but the data suggests that isn’t true. It may be true for some, but most chains are simply reallocating labour behind the scenes. 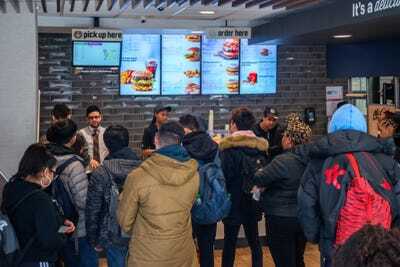 And with such a tight labour market, many chains are struggling to hire and retain customer-facing employees. Americans don’t seem too threatened by automation in general. 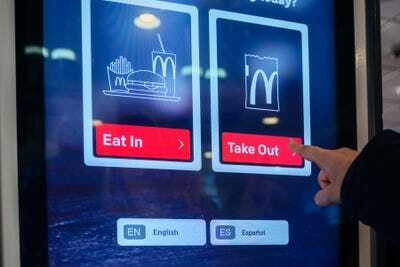 Nationally, only 21% of responders to MSN’s poll believe their job may one day be done by machines. 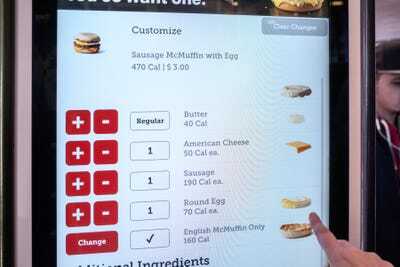 And restaurants like automated ordering because of it offers increased accuracy and efficiency as more chains look towards cashless options. The Chambers Street McDonald’s near our office in New York City’s Financial District now has kiosks and mobile ordering after undergoing an extensive renovation. 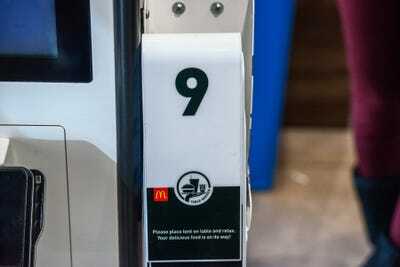 There, by the grace of the Hamburglar, go I.
It’s the middle of the lunch rush, so the place is packed. Luckily, the kiosks seem to be moving fairly quickly compared to the lengthening line at the registers. 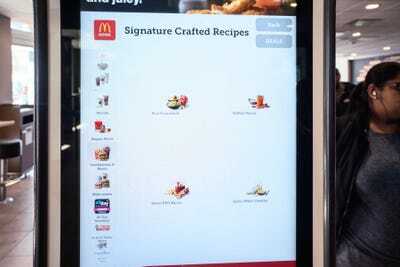 Using the kiosks is straightforward and surprisingly user-friendly. 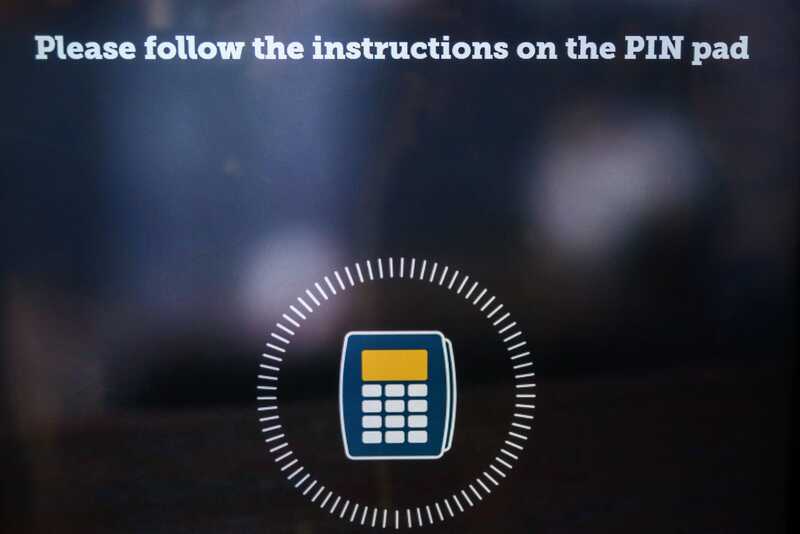 Just touch the screen to start ordering, and there’s always an assistance button below. There’s usually a handful of staff members roaming the kiosk area if help is needed. The first choice is easy: will you be eating in, or grabbing your food to go? 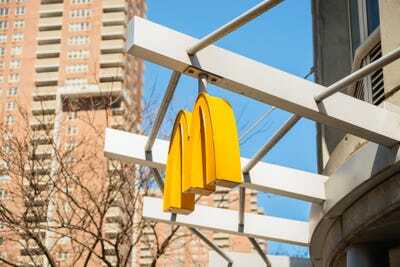 When ordering in, there are little table flags that you take with you to your table — yes, McDonald’s is doing table service now. At the end of the ordering process, it will ask for your flag number so they know which one to look for. The menu is broken into submenus: beverages, sandwiches and meals, All Day Breakfast, etc. 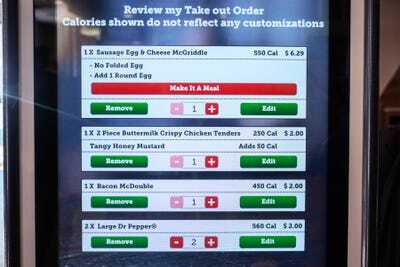 Under these are further submenus to help you narrow in on your order: chicken, fish, burgers, or whatever else you desire. But I want some brunch to go, so the All Day Breakfast menu it is. The beauty of the kiosk really is customisation: making your order the way you want it on here is much easier than repeating what you want to a cashier several times. 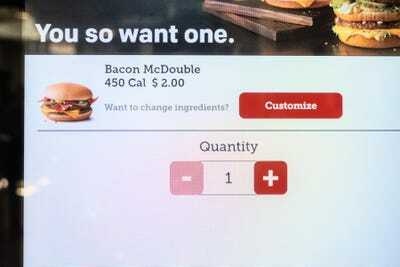 Just hit the customise button after you’ve chosen the item you want, and go from there. I wanted a sausage, egg, and cheese McGriddle with a McMuffin-style “round egg” instead of the default folded egg — it’s the best way to go. And if you’re ordering McNuggets or tenders, don’t worry: you get to choose the sauce you want. 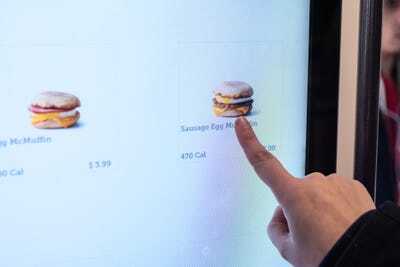 You can even get two of one sauce and one of the other — the world of kiosk customisation is your proverbial oyster. 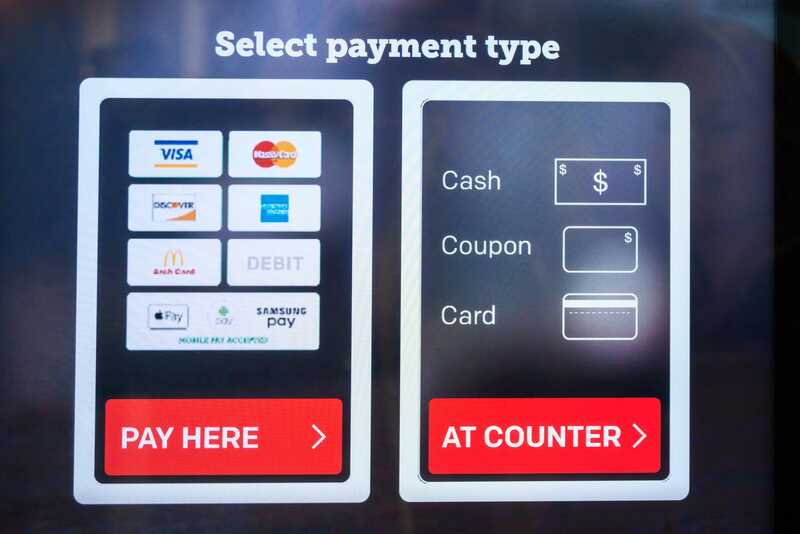 When you’ve chosen what you want, you’re ready to pay. 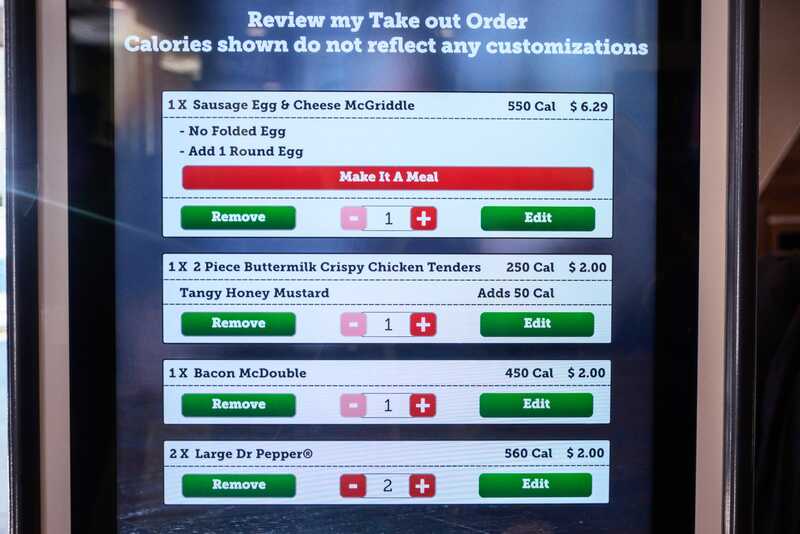 There’s a review screen that shows every customisation and choice, too, so you can make sure your order is correct. There’s even a calorie count … which some may wish to ignore. Like I said, pretty straightforward stuff. 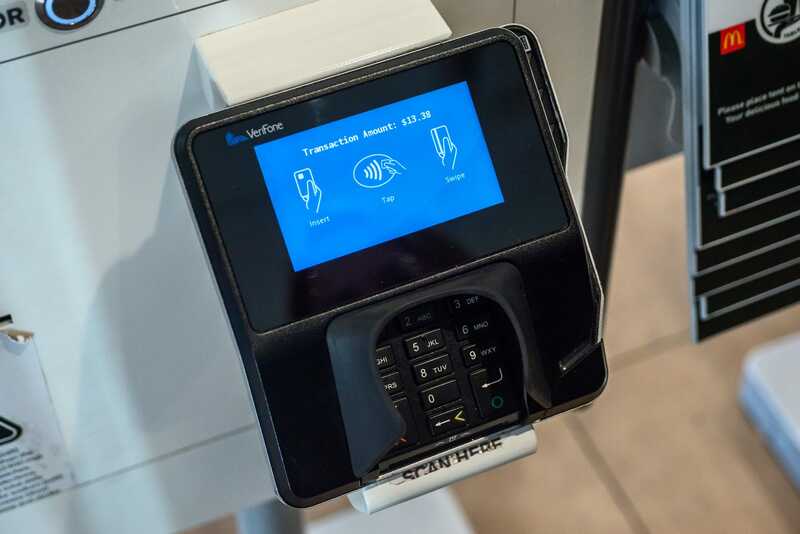 You can pay at the kiosk with a debit, credit, or gift card — or most mobile payment systems — or wait in line to pay with cash or coupon. Since this is an experiment in avoiding the line, we’re paying with card. The payment system itself is just like anything you’d encounter at the counter: swipe, insert, or tap. 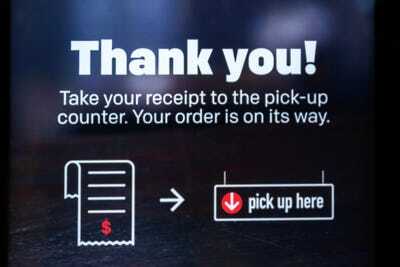 Once you’ve paid, the kiosk spits out a receipt with your order number on it, and you’re off to wait at the pick-up counter. The lunch rush here means it’s a pretty long wait — it took 10 minutes for the order to be ready. 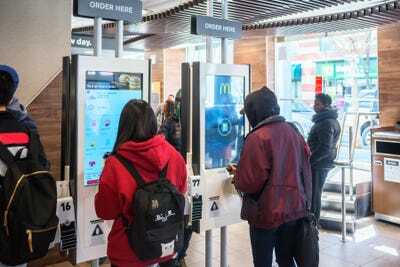 But it was easy to see that the kiosks turned over more customers more quickly. The pick-up counter was a constantly churning flurry of activity. Meanwhile, the line for the registers only grew longer with time, and it moved glacially slow. 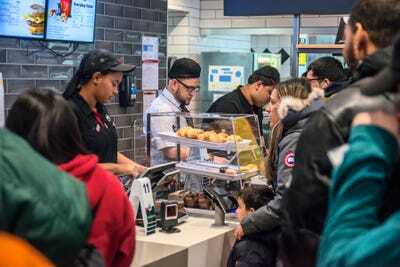 I watched people who got in line when I started ordering from the kiosk, and they only made it to the front of the line by the time I picked up my food. So, which is better? 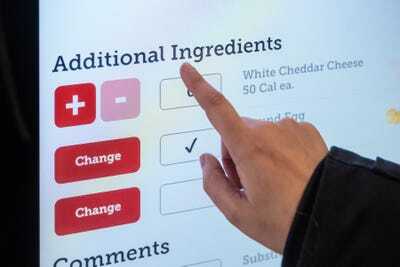 I’m used to the kiosks, so I prefer them — they’re faster, more accurate, and make things easier to customise. And since workers are there to help if you’re confused, I fail to see how it takes away jobs as of now. 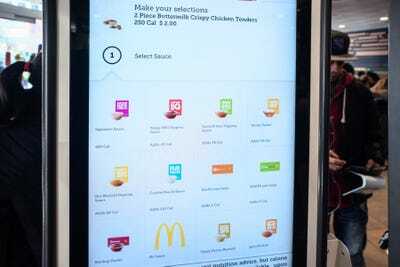 A trivial plus for McDonald’s enthusiasts: kiosks make it much easier to order an enormously embarrassing spread of food. 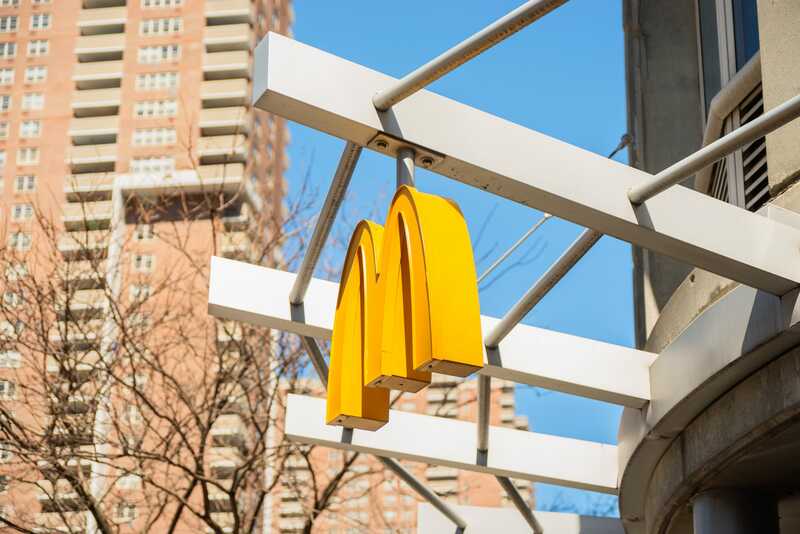 Twenty-piece box of McNuggets and a Big Mac for one, anyone?